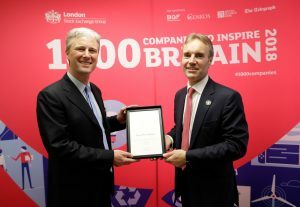 Oxford PharmaGenesis has been recognized as one of the London Stock Exchange Group’s 1000 Companies to Inspire Britain for the second year running. The report identifies the fastest‑growing and most dynamic small- and medium-sized businesses across the UK and Europe. Oxford PharmaGenesis has been included in this list alongside Oxford BioMedica, Immunocore, BrewDog and Time Out, and was one of the select companies to attend the event. Oxford PharmaGenesis covers the full range of pharmaceutical communication needs, from health economic assessments to policy recommendations, and from scientific publications to social media. Recent achievements include supporting clients in delivering scientific symposia in South America, running masterclasses in the Middle East, reporting research in Russia and publishing articles in Africa, as well as completing projects in Japan and China.